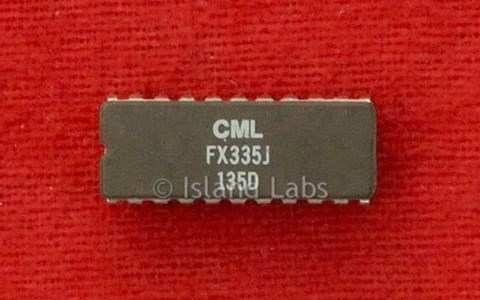 The FX335 is a CMOS CTCSS encoder/decoder used for the generation and detection of 38 sub-audible tones. The sub-audible tone encode/decode functions are all derived from an on-chip crystal oscillator and are digitally programmed by six wire link inputs. The decoder has an onboard switched capacitor high-pass filter used to attenuate the sub-audible tones in the speech path. Also included in the speech path is an audio switch which is activated by the detection of the correct CTCSS tone. Channel monitoring is achieved by the use of a "Push to Listen" input. 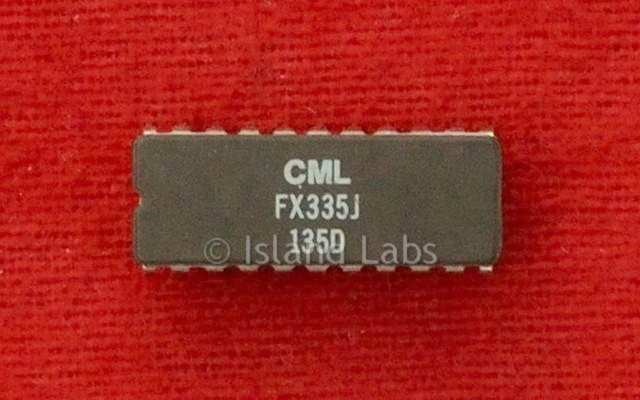 Decode Enable input allow the FX335 device to be put in a standby mode, thus reducing supply current.